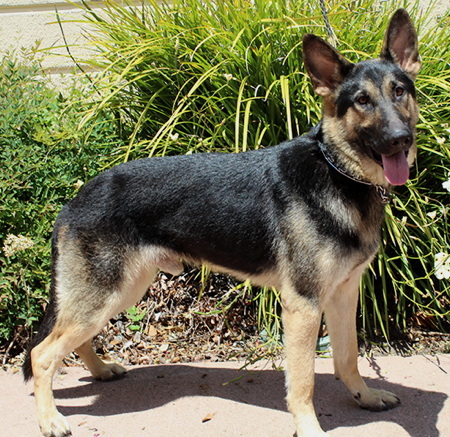 Jester A. is a handsome black and tan male weighing about 70 lbs. We estimae his age to be approximately 2.5 - 3 years old. He is an unclaimed stray from a local shelter so nothing is know of his background. Jester A., aptly named, is a big clown; he is pure joy on four legs. This pup is very responsive and super quick to learn new behaviors. Jester is active and can be quite vocal. 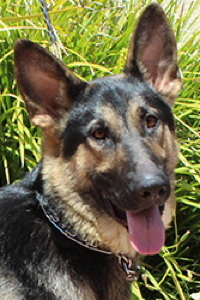 He will thrive in a home with experienced owners who will give him the training and leadership he needs.